The inforgraphic illustrates how many golf bags fly each year, along with some useful information about how to pack and prepare to fly your golf bags safely. 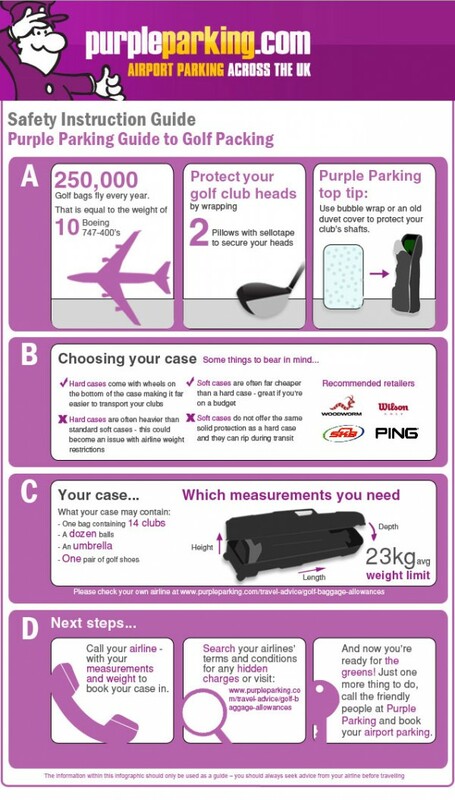 To make golfing holidays easier, here is a handy infographic which shows how to pack your golf clubs safely and the advantages of hard and soft golf cases for travelling with golf clubs. Don’t forget to check with your airlines’ golf baggage policy to check if there will be any extra charges for travelling with sporting equipment.